The Concordia Stingers started the 2012 season with a step in the right direction; a win against Bishop’s University Gaiters. The afternoon game was played for an audience of over 2,400 spectators at Concordia Stadium on Loyola Campus. The team got off to a quick start scoring inside the first two minutes. Stingers slotback Kris Bastien caught a 19-yard pass from quarterback Reid Quest. 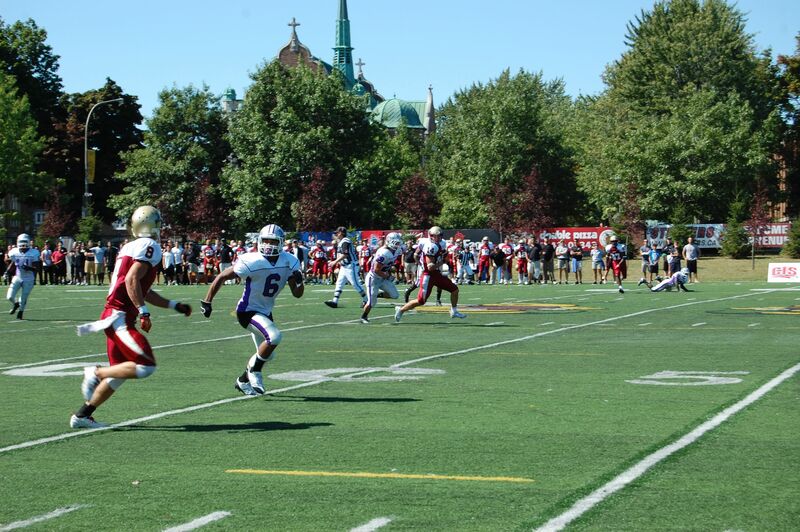 Bastien would go on to be Concordia’s standout player with six receptions totalling 242 yards and two touchdowns. Concordia held a comfortable 31-11 lead at halftime. The Stingers survived a third quarter scare and managed to hold on in the final frame winning 42-36. Concordia will look to stay undefeated when they play an away game at Université de Montréal on Friday, Sept. 7 at 7 p.m.